Inspired by the South’s most famous fruit I have gathered some of the prettiest peachy finds for your home and wardrobe. Peach is popular in fashion and interior design right now but it is always a perfect summer hue for anyone living in the South. Peach is a universally easy color to wear, setting off a sun kissed tan and pale freckles alike- you are sure to look your best in this cheery shade. Or you can easily brighten up your home with peach accessories by adding a throw pillow or blanket, an inexpensive way to add a punch of color that is not a permanent design overhaul. For your summer wardrobe find a breezy peach tank, a lightweight skirt, or a large accessory to set off your entire outfit. I love this striped linen tank by J.Crew in poppy for a modern, preppy take on the color that is perfect for any su mmer activity. Pair it with shorts for a bike ride or with skinny jeans and heels for a girls night out. 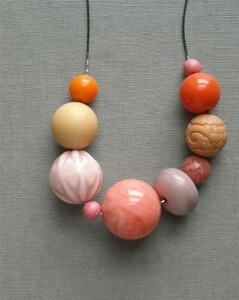 Or keep your outfit simple and layer this chunky peach necklace by Urban Legend over a simple black tank or under a crisp white oxford. These lovely baubles are constructed from vintage lucite beads and will be everything you need to dress up a summer outfit. In your home throw in some punches of peach to freshen up an otherwise bland room. Peach will go with any wall color from white to blue and is an easy way to modernize your space. Before you paint all of your walls in this bright shade, try simply layering in some accessories to see how you like living with the color. You can easily switch out your accessories seasonally to create a completely differe nt look for your room. 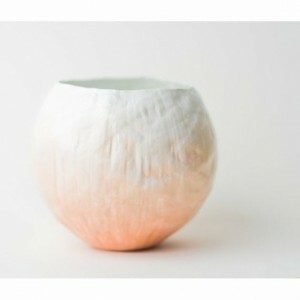 I love this gorgeous handmade vessel by Up In the Air Somewhere with a subtle peach fade. Place it on a table or shelf for a soft punch of color. In your bedroom toss this peachy ruffle quilt by Urban Outfitters on your bed and layer with some pillows in various shades of peach, pink, coral, and white for a monochromatic look that will add polish to your place. 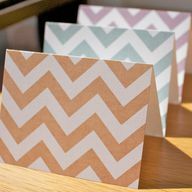 Last ly, send out these chevron note cards with a personalized note to add a splash of cheer to someone’s day. By etsy shop, Mr Handsome Face, they are a simple, elegant way to share this summer shade with someone you love. However you choose to use it, you really can’t go wrong with this delightful summer hue that captures all of the South’s sweetest moments.